As a result of clean energy mandates and the rising cost of energy, wastewater treatment facilities around the country are retrofitting their instrumentation to run highly efficient, cost-effective, clean facilities. To reduce emissions and produce clean energy, solid wastes are often digested in large digester tanks to reduce the volume of waste (sludge) and produce more biogas, which is then used as fuel in the cogeneration process. However, a clean environment calls for not just clean air and clean energy, but clean water as well. 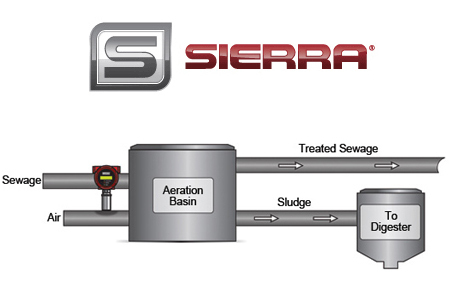 In the critical secondary stage of wastewater treatment, blowers aerate the basins, removing about 85% of the organic matter by making use of the bacteria living within it. Municipalities need precise mass flow measurement instrumentation to bubble the exact amount of air into these aeration basins for the bacteria to flourish.